Soulja Boy Says His Next Console Will Feature Fortnite, Epic Games Says "No"
Amazingly, despite all of the recent shenanigans and probable legal action, rapper Soulja Boy is back yet again, this time claiming that he's working on another new console which will even be able to play Fortnite. If you're not caught up on your Soulja Boy video game console manufacturing news (who thought we'd ever be saying that? ), the rapper and record producer shifted his attention to selling knock-off game consoles towards the end of 2018. He started by selling a pair of consoles which were actually just re-branded Chinese emulators, before going on to release a knock-off Game Boy with over 500 unlicensed games on it. Unsurprisingly, he was almost immediately forced to take these products down. We thought (and hoped) that would be the end of it, but in a recent interview with Everyday Struggle, Soulja Boy shows off his latest project which supposedly has 800 preinstalled games from consoles like the PlayStation, Game Boy and Sega Genesis. Amazingly, he notes that these games are "licensed", before suggesting that the reason Nintendo originally approached him wasn't due to any blatant copyright infringements, but was instead "to see what... was going on" and because they "want in". You can see it for yourself in the clip below - if you can manage to keep watching without ripping your own face off - but be warned that the video contains mature and, at times, offensive language. Soon after this little discussion, Soulja Boy is asked whether or not Fortnite will be playable on his machine. He says, "yes, we’re working on it,” before quickly adding “not this one, on the next one you can”. 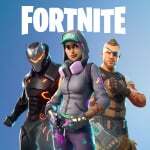 Now, we'd understand why you might want Fortnite on your machine - it's still the world's biggest game and was even the most played Nintendo Switch game of 2018 in Europe - but it looks like that definitely won't be the case. Now, please, will someone explain the concept of emulation to Soulja Boy and end this nonsense? I'd love to understand what is going on inside this guy's head. Why os he doing this? How he plans to get away with it? hes insane! you cannot sell something like this without it getting taken down. Speaking of Soulja Boy, it’s pretty sad that the SiIvaGunner channel was taken down, in my opinion. This all has to be an elaborate troll. It's the only sane explanation. There's no way an idiot can take it this far. "If you're not caught up on your Soulja Boy video game console manufacturing news "
He did not manufacture anything, so this is misleading. "actually just re-skins of Chinese emulators"
He did not even reskin them, so this is false. All indications are that he was just dropshipping them as is, with no other effort made on his part whatsoever (other than lying to promote them, if you can count that as "work"). So potentially if he finds a non-rooted Android device to dropship, the mobile version could run on it? Though he may need to get his store back online first, before considering what crazy mark up to apply to any such device. Maybe now is the time to take Soulja Boy to a wonderful place filled with luxury rooms with padded walls, a nice comfy white coat with straps and most importantly - absolutely zero access to the internet, phone, camera or any other kind of communication with civilization. He’s the rapper version of Del Boy except with none of the charm. He just flogs dodgy garbage. What a clown. With all his money, he manages to look and sound so cheap. @WarpSpawn U r soo rite! The whole thing is just lies throwing shade bc Soulja is making business moves. Haters gonna haters. *The guy is trying to sell knock off consoles that have unlicensed roms on them. What is Soulja Boy doing? Why's he doing it? @G-Boy That's the guy that had all those video game OSTs right? How disappointing. On the topic of This clown selling this hot garbage, I would've given him more credit if he actually manufactured and designed his own video game system. But nope just regurgitate hot chinese garbage like no tomorrow. @WarpSpawn That's a bit harsh on @ryancraddock as I'm sure the "manufacturing" comment was just a joke. However, you are correct that none of the Soulja devices have been re-skinned. I believe one of the original Soulja handhelds received a sticker on the outside of the unopened box.. but everything else is just straight from China. Whatever legal action that's been threatened, needs to take place. It's clear Soulja Boy doesn't care about/is too dumb to understand the law. @JackEatsSparrows I am not sure if you read what I actually said there? I was in no way defending him, I was pointing out that he had made even less effort than the article suggested. He is a blatant fraud and it is good that he has been stopped (for now at least). But if he finds something to dropship that can play a version of Fortnite (does such a thing exist? ), he will no doubt be bleating about all the haters saying he could not "release" one that could play it. @beazlen1 Couldn't have said it any better. And Soulja Boy achieved again to be in the news cycle and become relevant for a couple of minutes. Really, just stop giving this clown free promotion. I am not sure of the sticker was a joke on the part of Madlittlepizel, as I have only seen that on one of his videos and it was comically badly applied. "Soulja Boy Says His Next Console..." - why do these six words bring Hemingway of all people to my mind? Seriously though does he need help? Like he can't be well mentally with all this.I am honestly worried about him. He has been kissed by Toxic lip from Britney Spears. @WarpSpawn I was pretending to be one of his twitter followers. I doubt Epic would ever take their products in the same building as Soulja after all this tomfoolery. You tell ‘em Soulja Boy. Remember the blurred out Superman logos? Dude loves a good copyright. When will this insanity end? I take it the legal big wigs are just making sure the case is airtight before serving him? I'm hoping this is an episode from series 3 of Atlanta. Mainly because I want a series 3 of Atlanta. @JackEatsSparrows Sorry, missed the joke. I don't suppose for a second that they would ever collaborate with him or port it to a specific system for his sake, though I also doubt that they would be able to block it from being used on some random android device, that he might choose to resell. But he still might need his store back up before that even becomes an issue. @Bobb This is the mind of a psychopath. No one outside USA knows this guy. This isn't news worthy. Not everyone is as shallow as his fans. @Tirza I had not heard of him as a rapper before this, though there is a fair amount of hilarity and eye rolling to be had with these recent events. In a way he's clever because he's taken advantage of his fans and making money. Big lack in moral. Or he is a moron and hasn't got a clue. He'll be on Big Brother in a few years. I love how he's talking about "his dance" not being allowed in Fortnite due to copyright, but then he's talking about how Fortnite is going to be on his next console... and that's fine, right? Copyright only works one way, clearly. Words fail me. It's usually smart but dishonest people who con idiots out of their money. Here we seem to have an idiot conning idiots out of their money. Well done. @riChchestM Ooooh good shout. The accidental/fluke rap success turned "entrepreneur" would make a killer character. I would suggest you tweet this to DG but knowing his genius he's probably already knocking up an emmy award winning episode on just this topic. Im still getting over his "just because I can" Deadpool script excerpt. Here's hoping Dreamcast Guy puts another hilarious rant video up on youtube about this. The last one was hilarious because of how angry he got just to backtrack on everything in a follow up video. I wonder if he went through with his threat to ban Soulja Boy on Twitter cause that would learn him! Also Soulja Boy is an idiot and best thing to do is just ignore him. @eltomo It is not clear whether or not he really is making much money out of this. I know he previously claimed revenue or unit sales (not clear which) in the millions but never substantiated this. When he did a video showing purported revenue of over $200k, one YouTuber spotted that the number of orders for the day he claimed he made this much was a paltry 7. So he probably placed one or more bogus orders to pad the numbers. Can't we all just say no to Fortnite? The Hard Times is a satirical website. That story was a joke. This guy is f**king out of his mind. Talk about being delusional or high beyond belief. You would think that his "friends" would tell him to stop talking about video games or better yet stop talking period. Clearly Epic are just racist, doing all they can to stop a poor black businessman from succeeding. Please stop giving this dude free publicity. @Bobb Fame. Makes a man take things over. Keeps him loose, and hard to swallow. What you need, you have to borrow. Fame. 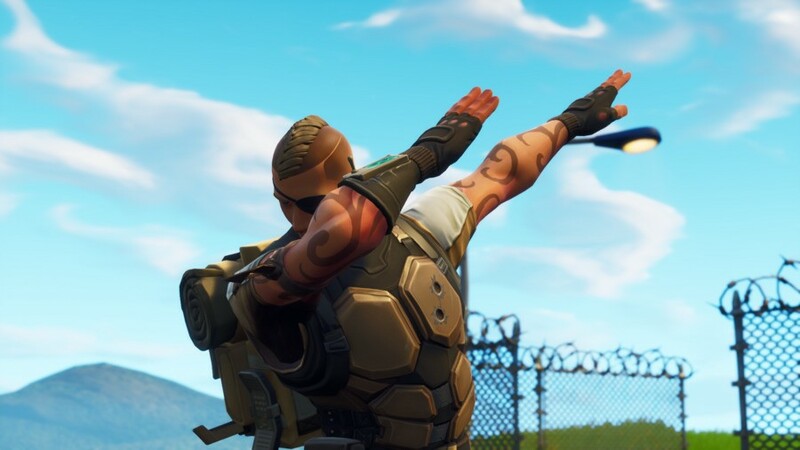 At some point Soulja Boy must have done some kind of dance move....Epic, steal that move and add it into Fortnite, or create a Soulja Boy skin and then swear that it's no relation to him! Media should stop making news out of him. It must be for attention. The first words out of his mouth link all this to race by saying he's a black entrepreneur. What a horrible thing to try and taint people of colour with. There are lots of geniune black entrepreneurs out there, and they wouldn't recognise this venality as anything to do with them. My guess is that he has an album coming out and is thinking of some strange ways to promote it and get buzz. Why is he still showing off one of the models that he previously pulled from his store? While he is clearly a scam artist who is to say it's rooted? it's Android and you can sideload anything without being rooted, you don't need root to install emulators and roms. I have never even heard of this guy besides on NintendoLife. @cfgk24 "He's just had too many drugs and has too much money"
Man. That just sounds like the worst. "Y'all love the white people at PS4"
This guy demands more undeserved attention than my wife's cat at 5am, and it isn't even 2007 anymore. I appreciate that he invoked the race card when he was criticized for selling the video game equivalent of bootleg Chinese band t-shirts from the trunk of his mother's early 2000s Volvo in a parking lot five blocks down from a concert, saying any criticisms levied against him are simple expressions of "racism" from people who "hate seeing black entrepreneurs succeed". If anything, if Soulja Boy is an "entrepreneur", I like reading about his bizarre self-promotion. The crazier the better. Keep the "success" coming, boy, tell 'em. I swear he's just doing it for the press coverage and controversy at this point. @FragRed: Your post brings to mind the song "They're Coming To Take Me Away" by Napoleon XIV. Ah yes... Nintendo approached him "to see what's up"
I wish he would just stop. He's making himself look "Mentally impaired". This article belongs to the BAD NINTENDO LIFE ARTICLES. It’s rather obvious in this video that he’s either mentally ill or hitting the pipe. Just drop the topic, and leave the dude be. @Bobb exactly one can't be this dumb... well I hope I guess? The media needs to stop giving this bum ant publicity. They made billions off Fortnite. But how MUCH of those billions were used on your dance, Soulja? Also, what about WoW and their Goblin dance? Where was your outrage then? I love this! No idea if he's crazy, hindered, or doing some performance art thing... but seeing "Soulja Boy does bizarre video game thing" makes me laugh every time. He's like a Chappelle character at this point. "Soulja Boy Says His Next Console Will Feature Fortnite, Epic Games Says "No""
@Bobb 34:30 to 36:00 on the video above will let you know why he's doing this and give you a small insight on what is going on inside his head. @oats-81 I believe that's generally referred to as a "Shart"
@Alex0714 Thanks for the tip. Just watched it. From what I could gather, he says he wanted to provide affordable consoles to people who can't pay for the pricy ones. @ThanosReXXX: I'm one of the weird ones who likes it, though I prefer the cover by the kind of obscure Neuroticfish over the original. There's also a heavy metal cover by a shock rock-esque group, but it deviates from the original lyrics. Guy is a moronic imbalanced poser. We can stop talking about him now. @BlakeMorris I agree. The only reason he keeps spewing out nonsense is because people keep giving him attention. He sells nonsense and talk nonsense. I don't think he knows what Fortnite is, you can ask him the same question regarding Skyrim, Doom, and Minecraft and he'll still says yes they coming to his crap system too. Ladies and gentlemen, we got em. Some people are that desperate for attention, I guess.